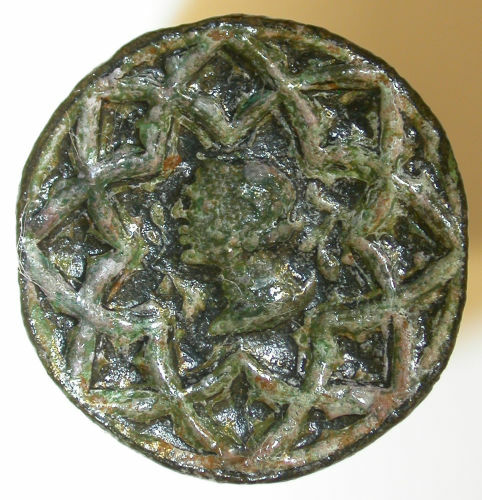 Medieval cast copper alloy seal matrix, 14th century. Circular matrix with hexagonal handle projecting from the reverse, terminating in a trefoil loop. The matrix has a design of a male(?) 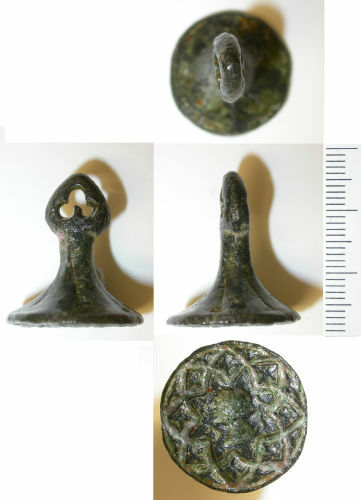 bust facing left (right in impression) at the centre of a double-petalled octofoil; there is no inscription. Diameter of matrix 20.7mm, length 23.4mm, width and thickness of handle 10.1mm x 3.7mm, weight 10.78g. 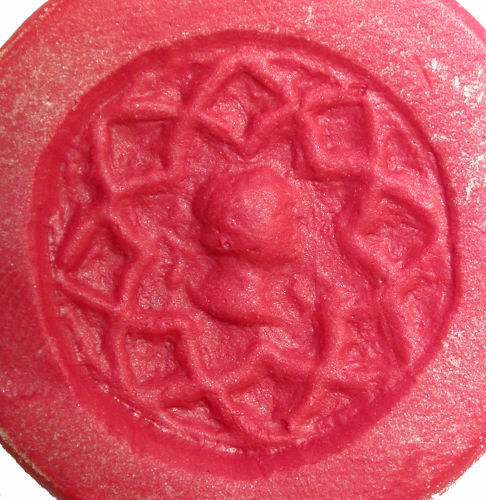 The design of a bust may be intended to imitate Medieval seal matrices set with Roman intaglios. This object has been covered in varnish by the finder. Gilded copper alloy seal matrix set oval intaglio bearing an impression of a male bust.